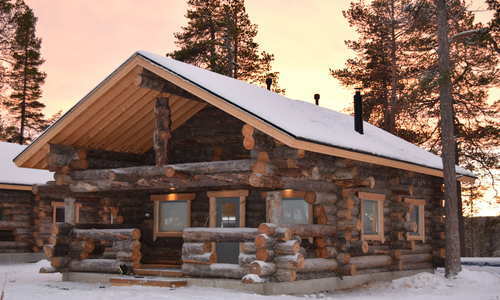 Glass domes and log cabins – two Lapland favourites in one. 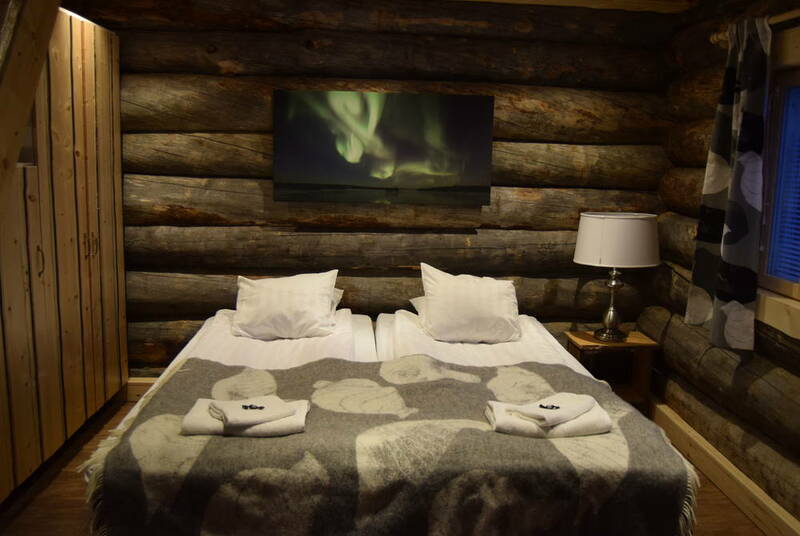 Alongside its chic cousin Wilderness Boutique Hotel Nangu, Inari is the latest from Lapland darlings Nellim – a favourite among our clients. 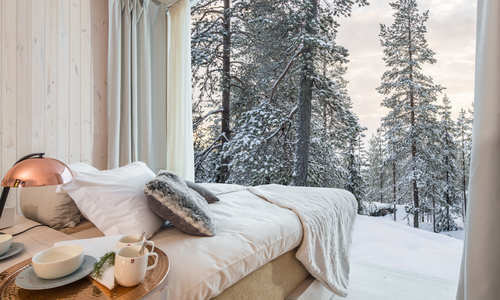 Indeed, while it’s brand new for winter 2017/2018, it remains faithful to Nellim’s signature combination of cosy comfort and wilderness experience. 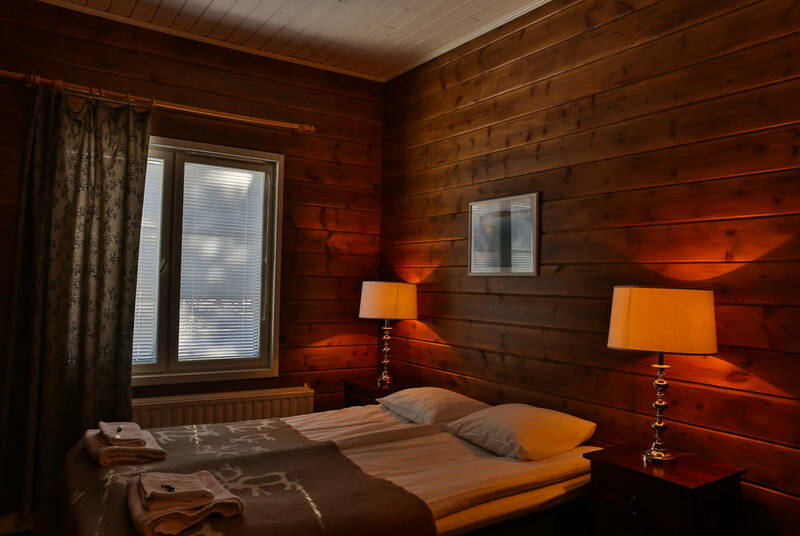 As such, its spectacular views over remote Lake Inari in the depths of Finnish Lapland are taken in by a collection of delightful accommodation. 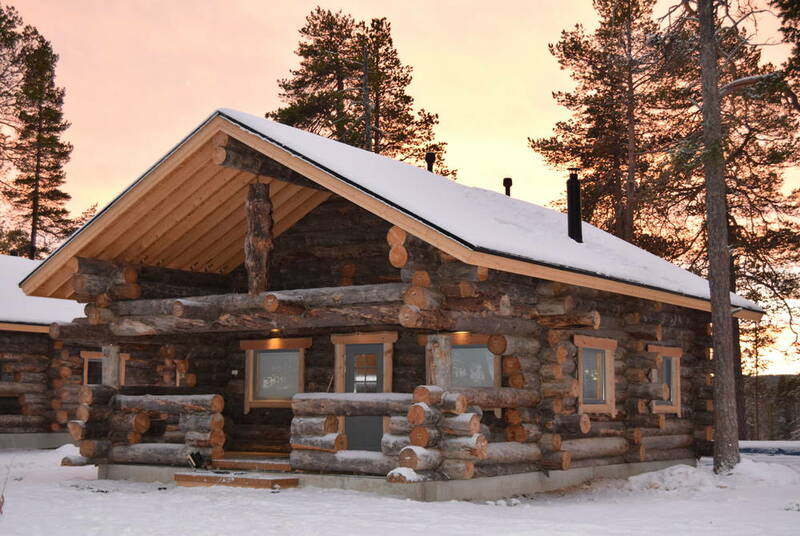 The log cabins and Aurora Cabin domes are particular highlights. 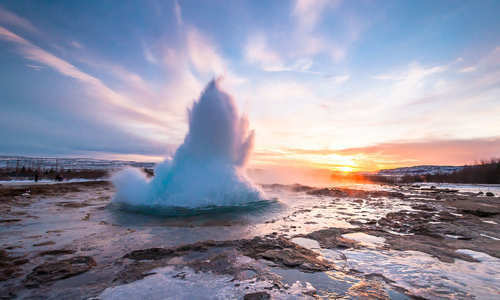 What’s more, although you’ll be ideally poised for the Northern Lights and a full spread of winter activities, it’s all just a short flight away. Returning in from the wilds, you’ll be happy to hear both hunger and tastebuds are well catered for at Inari’s restaurant. 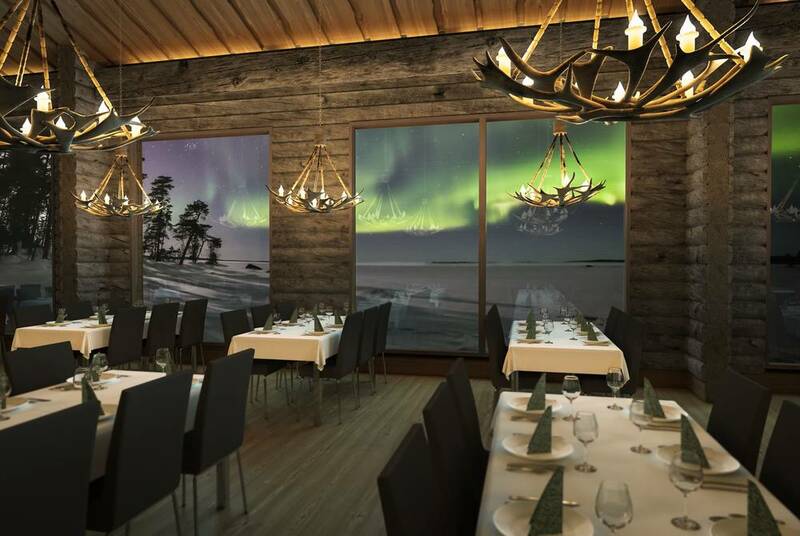 Here, Lappish delicacies are served up to panoramic views over Lake Inari, invited in by picture windows. Expect menus to follow the seasons, with a focus on freshness and high quality whether you’re indulging with salmon delicacies or tucking into hearty stews. Breakfasts and lunch are buffet style, while dinners have a table service. Lastly, for a special occasion, consider one of the celebration packages or simply indulge with a cocktail at the bar. 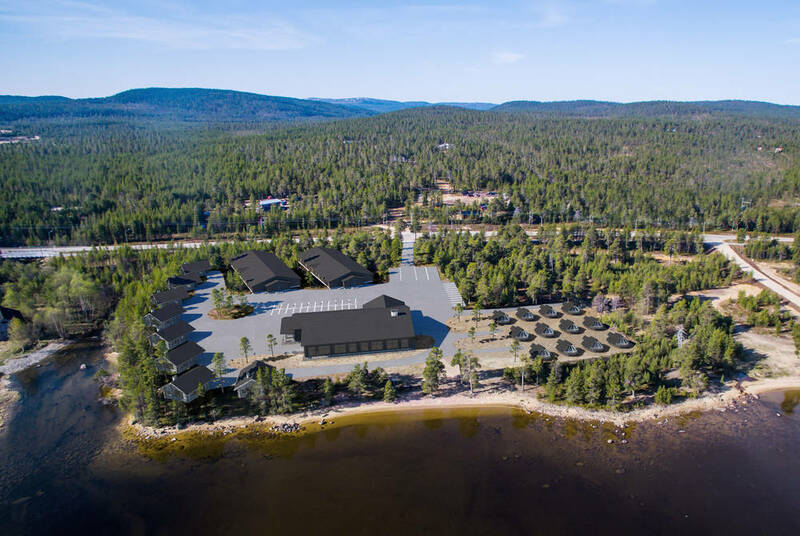 Although maintaining a considered sense of intimacy, one of Inari’s biggest draws is its range of accommodation, allowing its guests to experience many of Scandinavia’s hotel highlights. 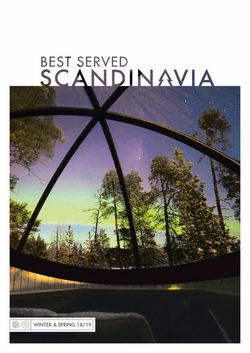 The Aurora Cabins are an obvious favourite, where sweeping glass domes offer a front-row seat for the Northern Lights. The glass is even heated to keep your views pristine throughout the night, while timber cladding adds a more traditional dimension. But, for the full experience, book onto one of the log cabins, where exposed timber, comfy armchairs and roaring fireplaces are set to pretty lake views. 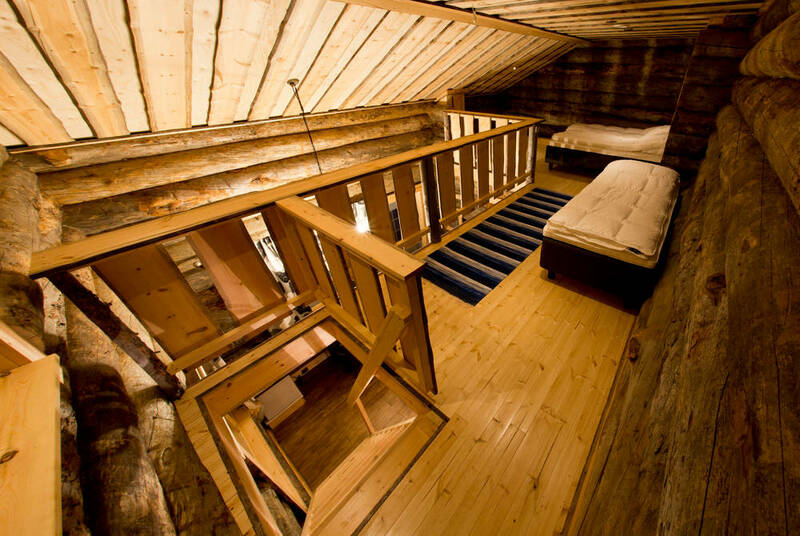 There’s even an en suite sauna. 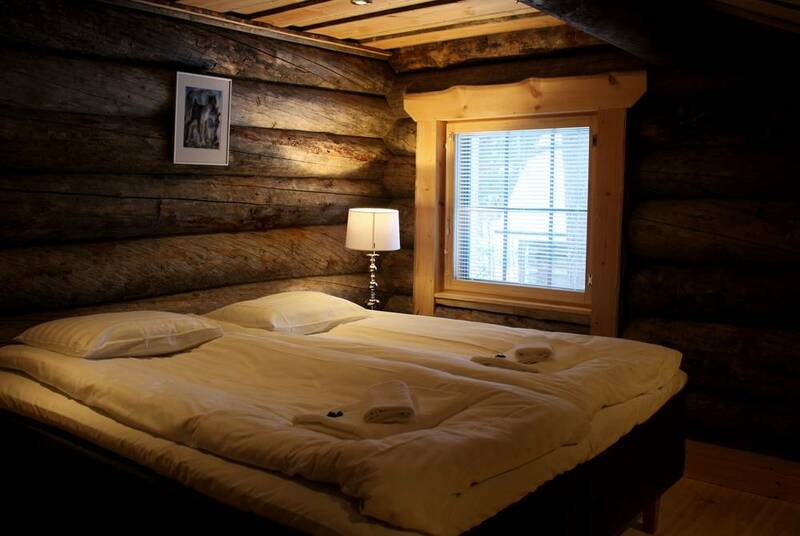 Alternatively, the Wilderness Rooms offer a taste of the same rustic charm at an excellent price point. 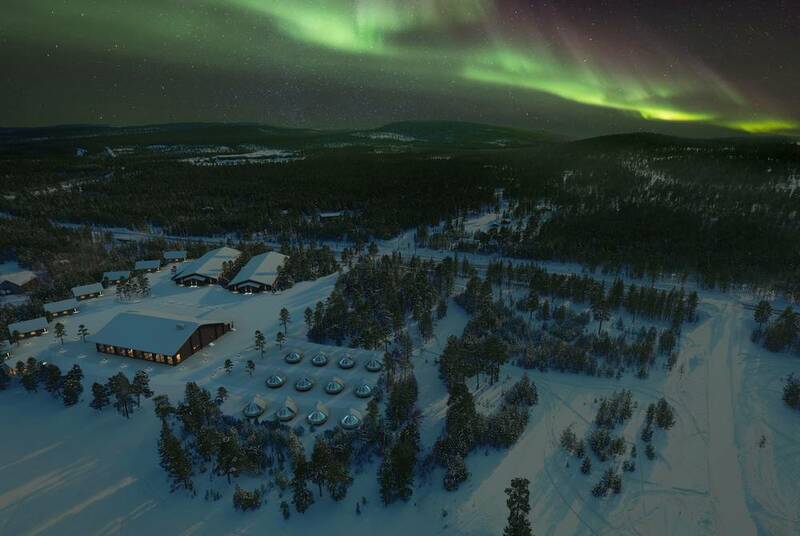 This being Finnish Lapland, it’s all about the great outdoors. 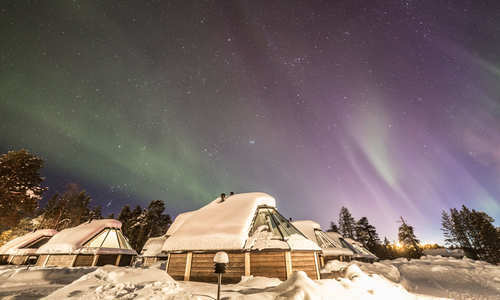 Unsurprisingly, it’s the Northern Lights that often get the most attention, with their ethereal sweeps showcased at Inari on everything from snowmobile safaris to snowshoeing trips and sledge rides out to fireside camps. 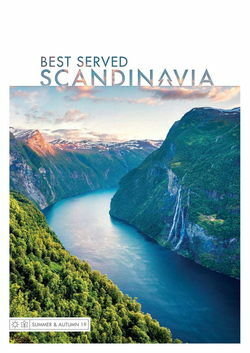 Then, during the day, explore with ice-fishing excursions, husky dogsledding and snowshoeing or cross-country skiing. There’s also the chance to meet the reindeer at a nearby farm and get a taste of the local culture with a private dinner hosted by a local Sami. Otherwise, visit over the summer months for a full range of fair-weather fun.